Sanyu Industries Co., Ltd., (Head Office: Komaki, Japan) was founded in 1954 as a diverse manufacturer of mechanical and electrical equipment. In 1973, Sanyu launched its first injection molding machine, and quickly established itself as a world leader in rubber injection molding technology and automation systems. Sanyu Industries has achieved both ISO9001 and ISO14001 certifications and is the parent company of Sanyu USA, Inc.
Name: Sanyu Industries Co., Ltd.
Activity: Production, sales and service of rubber injection molding machines, automation equipment and other industrial equipment. 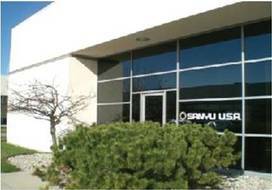 Sanyu USA (Maumee, Ohio) was established in 1989 and is responsible for the sales and service of Sanyu’s rubber injection molding machines and automation equipment in the Americas. 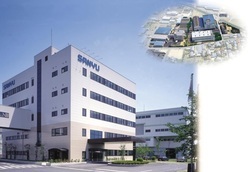 Sanyu USA is a wholly owned subsidiary of Sanyu Industries, Ltd (Head Office: Komaki, Japan). In 2010, Sanyu USA became the sales and service representative of rubber mixing equipment manufacturer Moriyama for North America. In 2016, Sanyu USA became the North American representative for Rubicon extruders and vulcanization lines.